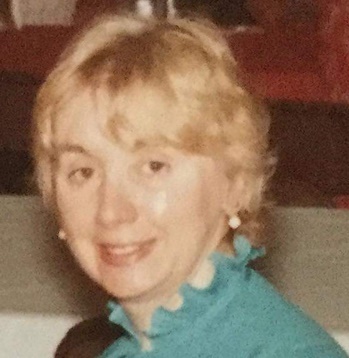 Betty Anne (Murphy) Marshall, of West Warwick, passed away on Wednesday, February 6, 2019 at West View Nursing Home. Born in Providence, she was the daughter of the late Edward J. and Marie Antoinette Cecile (Langevin) Murphy. Betty was the beloved mother of Debra Lynn Marshall and Elaine Marie Marshall. She was the loving grandmother of Anina Elizabeth (Denuccio) Marshall. Betty was the sister of Robert Emmett Murphy and half sister of the late Edward J. Murphy, Jr.
A graduate of St. Xavier Academy, she worked as a bookkeeping machine operator for the State of Rhode Island. Besides her work at the State House, Betty also worked at plating shops. Her funeral will be held on Tuesday, February 12, 2019 at 8:45 from the Russell J. Boyle & Son Funeral Home, 142 Centerville Road, Warwick. A Mass of Christian Burial will be held at 10:00 am in Saint Peter Church, 350 Fair St., Warwick. Burial will follow in Saint Ann Cemetery, Cranston. Visiting hours on Monday from 4-7pm. In lieu of flowers, donations to West View Nursing Home, c/o Activites Department, 239 Legris Avenue, West Warwick, RI 02893.